An update on plans for a women's football centre of excellence is on the agenda at the next Northwich Rotary Club Special Speaker Meeting. 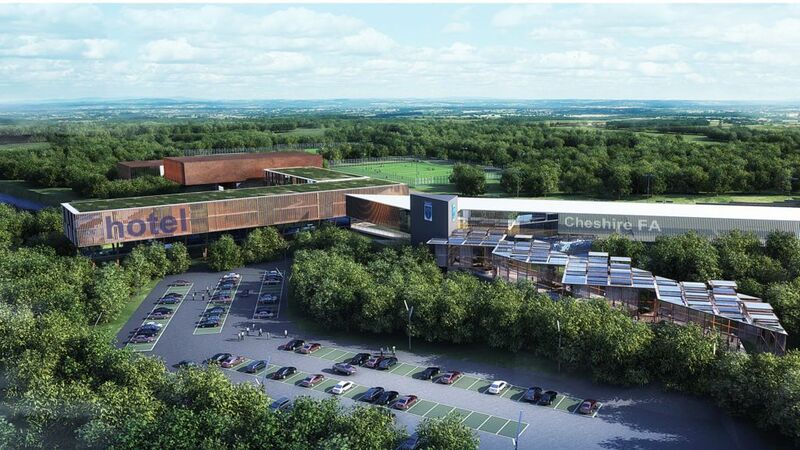 The meeting will include a presentation from Stuart Manifould, business and operations manager at Cheshire FA – the driving force behind the 'Vision 2020' project. The £70 million scheme, in partnership with Cheshire West and Chester Council and ION Developments, includes a hotel, 3,000-seater stadium and state-of-the-art footballing facilities. Ahead of Stuart's presentation, a policing update will include news of Northwich's new Chief Inspector, Sarah Edgar. Tickets for the event, which includes a two-course buffet lunch with tea and coffee, are availble for £8.50 per person. Doors open at 11.45am for lunch at 12.30pm, ahead of a police update at 1.15pm and the main speaker at 1.30pm. For lunch reservations, confirm your attendance by emailing northwichrotaryss@hotmail.com or contacting Emma Bantock or Clive Steggel on 01606 48521.